Currently, two DEW flavors are locked into fierce battle, with fans of either Mtn Dew Pitch Black or Mtn Dew Baja Blast going to increasingly astounding lengths to prove their devotion. In the same way, where would sneakers be without competition between brands? From Kanye’s very public adidas-versus-Nike pairing versus the quieter rivalry of the Dassler brothers, sneaker scraps will always exist as long as the industry is worth billions of dollars. Simply too much is at stake for these battles to ever be fully resolved. You, on the other hand, can make the difference: go to DEWcision.com to vote for either Mtn Dew Pitch Black or Mtn Dew Baja Blast. Remember: two choices, one remains! The rivalry between Adidas and Puma can be traced way back to World War II, when brothers Adi and Rudi Dassler decided to start their own brands. 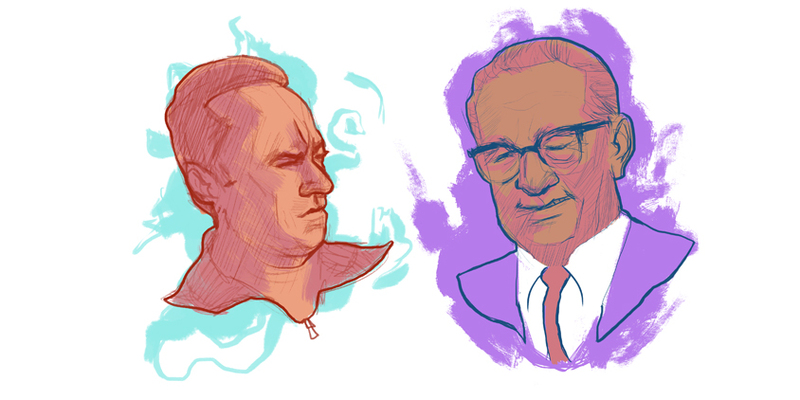 Tensions began as early as 1943, but the real first shots were fired in 1947 when the pair dissolved the sneaker business they’d run together for nearly twenty years. After the split, Rudi started his own brand, Ruda, which was later renamed Puma, and a few years later Adi started adidas. The feud escalated quickly at that point, with the brands causing a split amongst the locals in Herzogenaurach. In fact, things became so divided that Herzogenaurach was once coined “the town of bent necks” because people would always lean in to to see which brand someone was wearing first. Sound familiar? Eventually, the rivalry managed to outlive the brothers themselves, who passed away in the 1970s. In 2009, the two brands faced off in a friendly game of soccer to supposedly bury the hatchet, but truth be told, this is one feud that may never be fully forgotten. 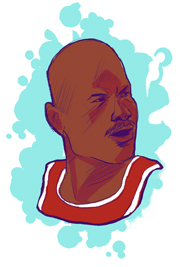 “Now, as much as I want to crush you on the court, I gotta crush you off the court,” Jordan reportedly told Brown. Later in the decade, Reebok would find further success with signature basketball lines for Shaquille O’Neal, Allen Iverson, and Shawn Kemp, but even that couldn’t keep them ahead of the mega empire that would become Jordan Brand. Beyond sports, Nike and adidas are battling to win over consumers by investing in more high profile collaborations. The much-publicized fallout between Nike and rapper Kanye West led to adidas scoring one of the most important deals in the company’s history, which led to one of the most heated—and public—sneaker rivalries in recent memory was the one between Kanye West and Nike. After the launch of two extremely successful Air Yeezys in 2009 and 2012, one of the first signs that things had gone sour came in November of 2013 when Kanye took shots at Parker during a concert in Brooklyn. “[Parker] talking ’bout he don’t even know why people like the Yeezys,” West said. By the following month, news surfaced that Kanye had officially signed a new deal with adidas. In the weeks that followed, Kanye continued to level shots at the Swoosh in radio interviews and on-stage rants. “[Nike] said, ‘We can’t give you a royalty because you’re not a professional athlete.’ I told them I go to the [arena] and play one-on-none. I’m a performance athlete,” he memorably told Angie Martinez. Months later, Nike finally dropped the “Red October” Yeezy 2s, effectively finishing off their partnership with West. But the feud was far from over, and in fact, it still lingers to this day. West’s deal with adidas finally materialized in February of 2015 with the launch of the Yeezy Boost 750. The collaboration quickly picked up steam that summer as adidas rolled out the low top Yeezy Boost 350, and the collaborations have gone on to become some of the most coveted sneakers in the world. 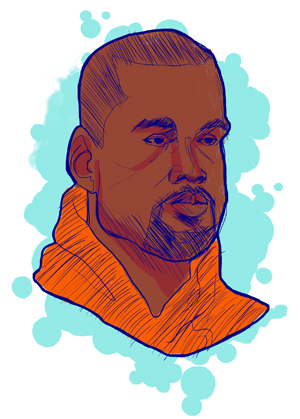 This year, on the controversial track “Facts” from West’s The Life of Pablo, Kanye turned his “Yeezy just jumped over Jumpman” jab (first heard on 2012’s “New God Flow”) into an all-out, full-length diss track; he later took to Twitter to clarify that his beef wasn’t with Michael Jordan, but Parker. In an attempt to get what was owed to him, MJ took the company to court for $183,000, which he said he intended to donate to the growth of basketball in China. What should’ve been a simple lawsuit became complicated when Qiaodan filed a countersuit worth $8 million. 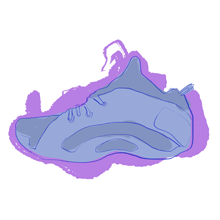 In 2015, MJ lost the case when the Bejing Municipal High People’s Court decided that Qiaodan could continue to produce the infringing sneakers. A lot of this has to do with China’s extremely lax enforcement of intellectual property rights, which is one of the main reasons it’s such a big hub for knockoff merchandise in the first place. In September 2014, three of Nike’s top sneaker designers (Marc Dolce, Mark Miner, and Denis Dekovic) left the brand to join adidas. It was already a headline-worthy acquisition, but then things got ugly. Just a few months later, Nike filed a $10 million lawsuit against the designers, alleging that the trio stole trade secrets. Furthermore, the brand claimed that Dolce, Miner, and Dekovic had already begun consulting for adidas during their employment with Nike. This rivalry would play out mostly in the courtroom, with months of back and forth between Nike and its former designers. After the designer’s lawyer claimed that Nike had combed through 30 devices and almost 70,000 pages of documents without being able to find any evidence, the case was eventually settled during the summer of 2015. 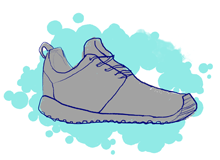 It took a few months, but in February of 2016, a federal judge found that Skechers’ sneakers were “confusingly similar” and at worst “even identical” to designs trademarked by adidas, and forbade the brand from selling the infringing shoes. 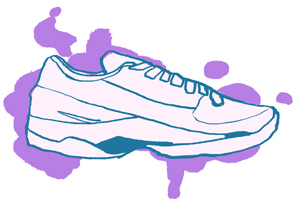 Adidas wasn’t the only brand to take issue with Skechers’ designs. 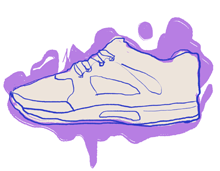 Earlier this year, Nike took Skechers to court over its Energy Burst sneakers, which Nike said infringed upon eight of its patents, most notably Flyknit. The similarities laid out in the lawsuit are striking, but the craziest part is that these Skechers sneakers weren’t only copying Nike’s Flyknit tech; the shoe’s midsole felt—to sneakerheads—like a copy of adidas’ proprietary Boost cushioning. This one’s a mess, and it got even more complicated when Skechers filed an appeal claiming that Nike should’ve never been able to patent Flyknit in the first place. Although it’s pretty clear who’s in the wrong here, this is one rivalry that we haven’t heard the last of. In the fall of 2013, Under Armour signed then 25-year-old Steph Curry to a five-year sneaker deal. At the time, the investment could have been considered a low-key gamble. Curry was hot, but could he keep it up? It might sound ridiculous now, but this was right before he had proven himself as one of the truly elite superstars of the game. Not only did Curry keep it up, but he went on to outperform even the loftiest of expectations. The point guard won MVP honors in 2014 and 2015, and went on to lead his team to their fourth title. The following season, he led the his team to a 73-9 regular season record, breaking the historic ’95-96 milestone set in Chicago. It’s not just Curry (or UA’s winning bets on other stellar outsiders, like Misty Copeland and golfer Jordan Spieth), but also UA’s lower price point that has managed to tip it over the magical boundary from niche gym brand to household name. In fact, in early 2015, Under Armour surpassed adidas in U.S. sales of athletic apparel and footwear, and by the end of the year, Under Armour’s footwear sales jumped by 95 percent in comparison to 2014. Talk about a come up. The brand’s rise to prominence hasn’t been without its critics. Just a few weeks ago, a pair of low top UA Steph Curry sneakers became a trending topic on social media for all the wrong reasons. The “Chef” UA Curry 2 Lows were clowned for their geriatric vibes, but at the end of the day, Under Armour’s laughing all the way to the bank, which means they’ve made a ton of rivals, by default.